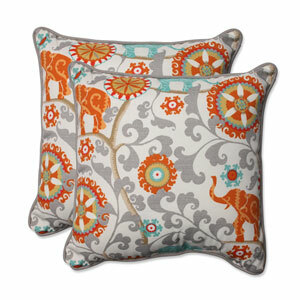 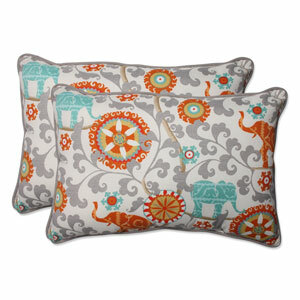 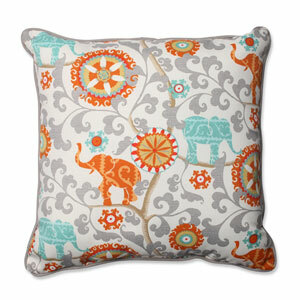 Patterns abound in this sunny, summery design featuring elephants, pin-wheeling orange flowers, and swirling smoke gray vines. 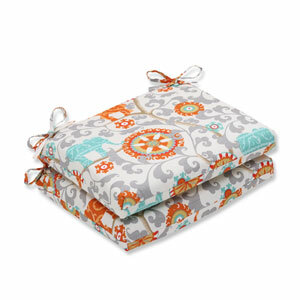 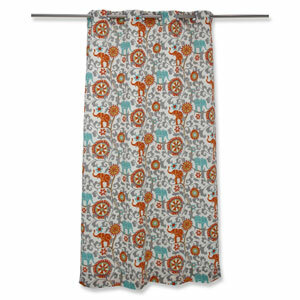 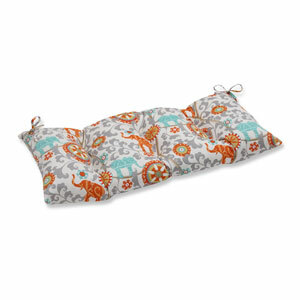 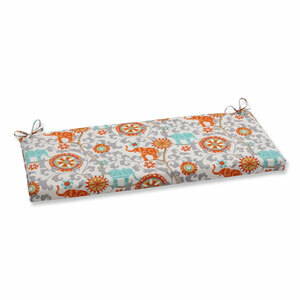 This charming, whimsical print brings together hot summer shades and adorable animals in the perfect mix. 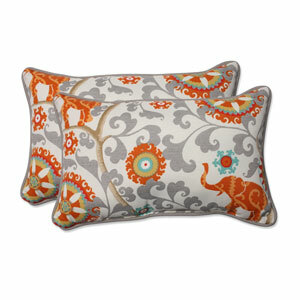 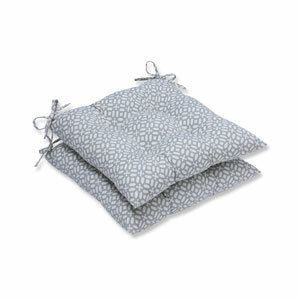 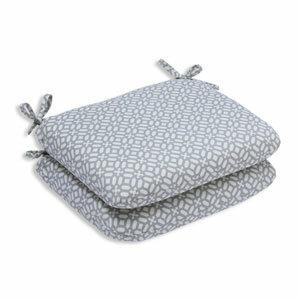 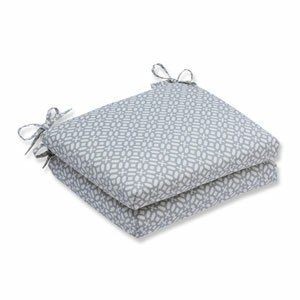 On a cream background this soothing design is ready to take you somewhere exotic all summer long. 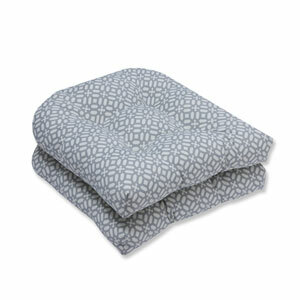 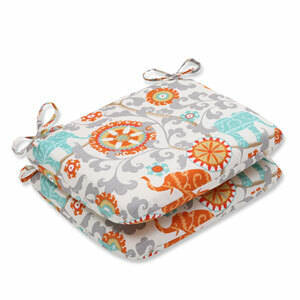 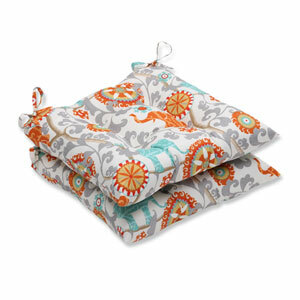 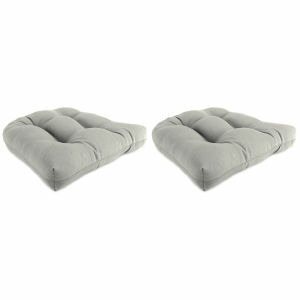 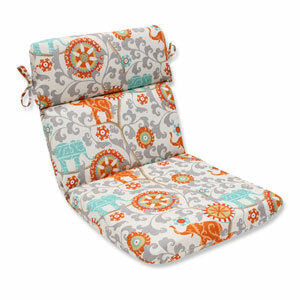 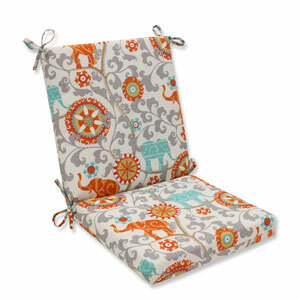 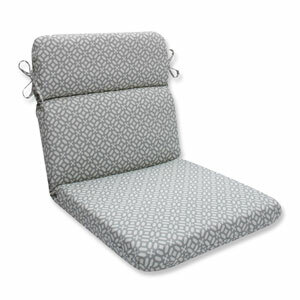 Get ready for your next pool party with this pair of cushy wicker seat cushions and relax all summer long.